I haven't read this one in ages, but I found myself thinking of it and wanting to share with others. 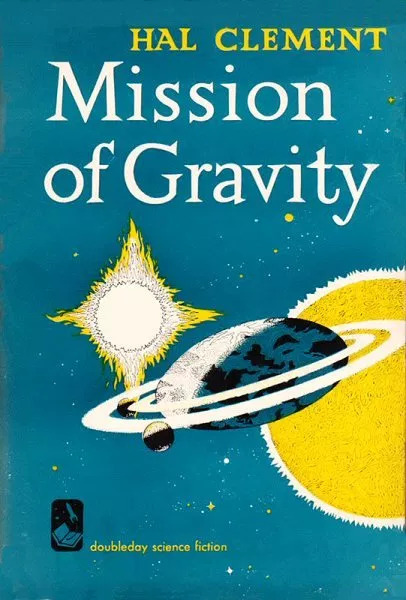 Mission of Gravity is the first book set on the planet Mesklin, a unique world that is 3G at the equator and seven hundred G (700G) at the poles! What is most interesting from our perspective is that the setting is somewhat open source, as the author has explicitly given permission for folks to set stories there. Check out this vintage cover! I have a compilation book called Heavy Planet that has several of the tales. I read that, many decades ago! I'm game. I wanted to add this to the poll for the January book, actually, but I think I couldn't find a kindle version. Yeah, that could work. It's not for me - you and I are the only two who prefer print, these days. although closer inspection finds the message "This title is not currently available for purchase"
@RichardAbbott Do you have access to Overdrive on the UK side? The eBook may be available from the library.